In many parts of the world, it’s summer, and for a lot of us, it’s been a particularly hot and humid one, which has been quite beneficial for ready-to-drink coffee (RTD) — be it cold brew or iced coffee (including iced cappuccinos and espressos). I’ve certainly consumed an inordinate amount of RTD coffee, which I do not typically purchase, over the last few weeks. Yet, RTD coffee does not seem to need hot weather to entice consumers — the appeal is already there and growing. 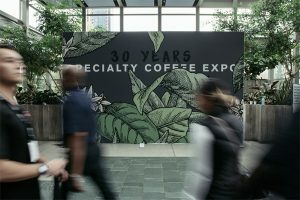 Since the Specialty Coffee Association Expo in Seattle in April alone, a slew of new RTD coffee products have hit the market in the US and internationally from companies such as Chameleon, Peet’s Coffee and Stumptown (which actually launched its sparkling cold brew earlier in the year), to name just a few. 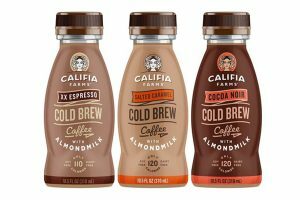 “Chilled” coffee is surging in the United States, growing at least 10% annually between 2013-17, per the London-based Mintel’s’ report. 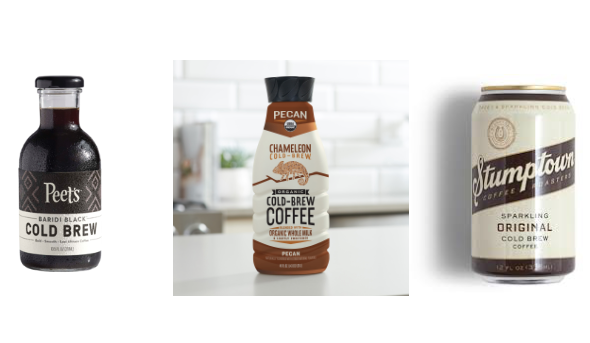 In fact, more than half (56%) of new RTD coffee launches in the US were cold brew in 2017, up from 38% the prior year. Further evidencing RTD coffee’s popularity, Rabobank figures also show that RTD coffee has had significant growth in the US with 14% CAGR for last 5 years in the US (4% globally). Globally, Japan leads in RTD coffee innovation, representing 18% of all iced RTD coffee launches in 2017. The US follows, accounting for 13% of these launches in 2017, up from 10% in 2016. RTD coffee is also building momentum in China; Mintel projects annual growth of around 20% in the next five years as RTD grabs more share from instant coffee. Europe has been slower to follow the iced coffee boom, but Mintel forecasts strong potential among younger drinkers — Generation Z and young millennial consumers. Two-thirds (66%) of UK 18-24-year-old coffee drinkers think chilled coffee is a good alternative to sugary drinks, compared with a quarter (26%) of drinkers aged 45+. This mimics what is happening in the US where younger drinkers, who are less ingrained in the habit of drinking hot coffee, have driven RTD coffee growth. About 68% of US 18-34-year-olds currently consume single-serve RTD coffee compared with 43% of all adults. The National Coffee Association’s (NCA) 2018 National Consumer Drinking Trends (NCDT) Study further segments younger drinkers showing that 20% of 13-18 year olds, 16% 19-24 year olds and 10% of 25-34 purchased RTD coffee in the past day. But not everyone is jumping on the RTD coffee “bandwagon.” Despite its growing global appeal, Europeans remain resistant to the lure of iced coffee. While Spanish consumers are most likely to have tried iced/chilled coffee in Europe, Mintel finds that only 10% have actually purchased it either from a store or online. Meanwhile, in ‘coffee-purist’ countries like France and Italy, purchase of iced/chilled coffee among all adults is just 3% and 4%, respectively. 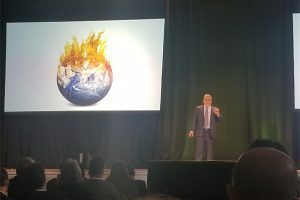 However, as we are learning, younger consumers – Generation Z specifically – respond to advertising and marketing differently so those companies with RTD coffee lines (or those looking to launch RTD coffee products) to need to understand how to properly target them or risk losing current and potential customers. Sustainability, transparency, traceability, uniqueness and a variety of flavours and choices (such as non-dairy options) appeal to the younger demographic, so it’s essential to keep these factors top of mind when entering the RTD coffee market.